Now this is not the end. It is not even the beginning of the end but, it is, perhaps, the end of the beginning. 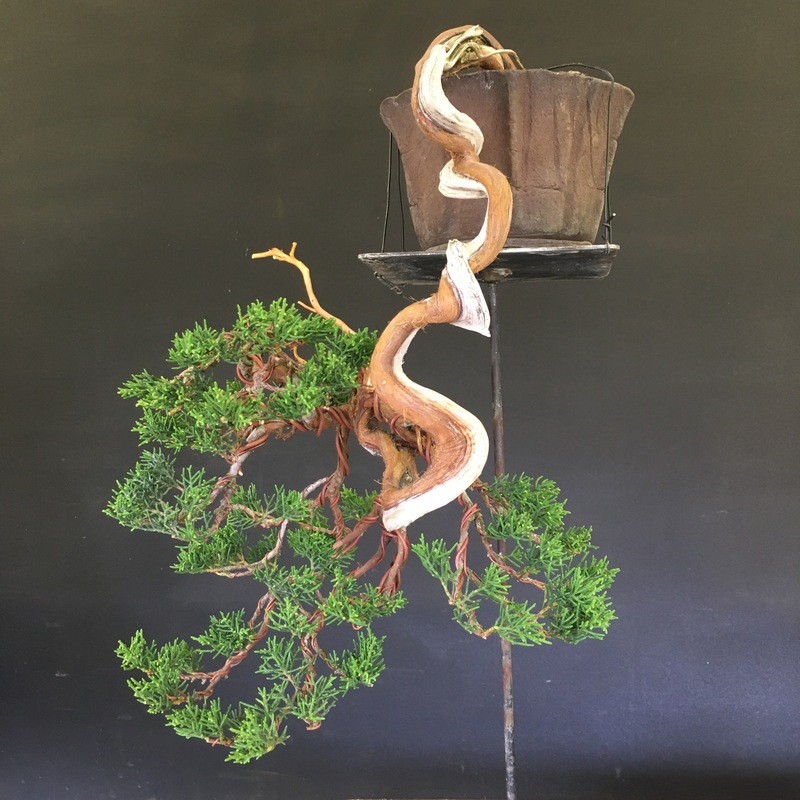 Oyakata gave me a tree a while back to wire, style and make look nice. 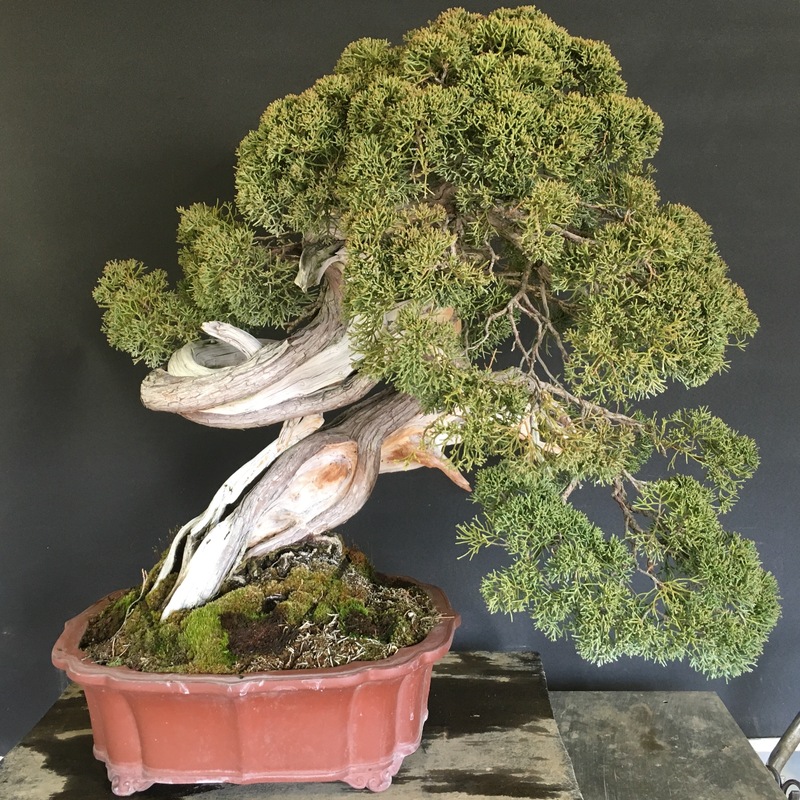 A mountain collected juniper that had already been re-potted and the front chosen some time ago. It was just a case of recreating structure, making pads and trying to make a clean look, whilst still a natural feeling. 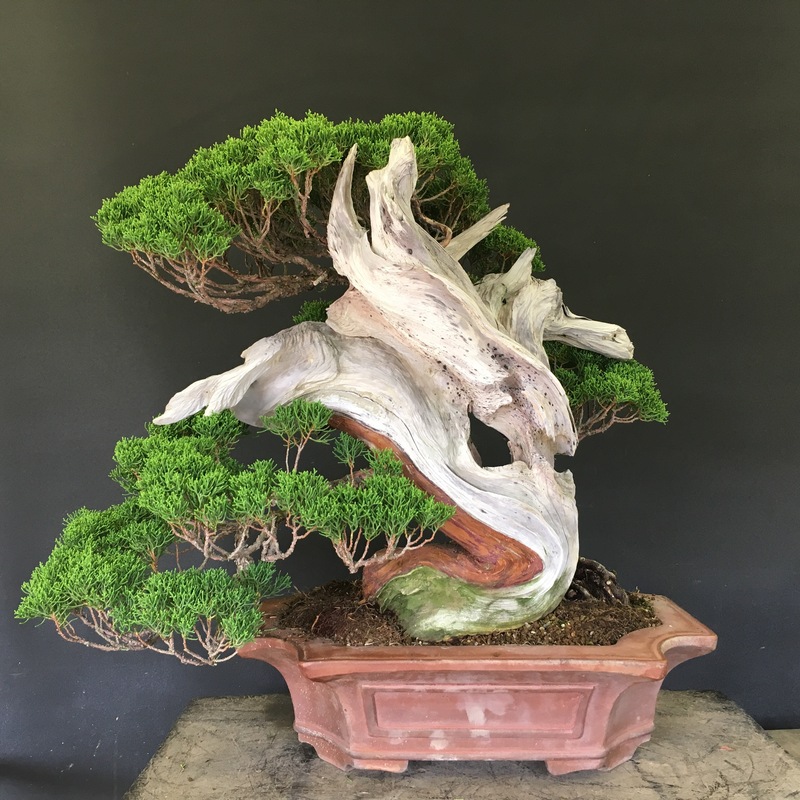 The tree to start wasn’t looking in bad condition and was looking very natural but, in good condition for a wiring to make look good. 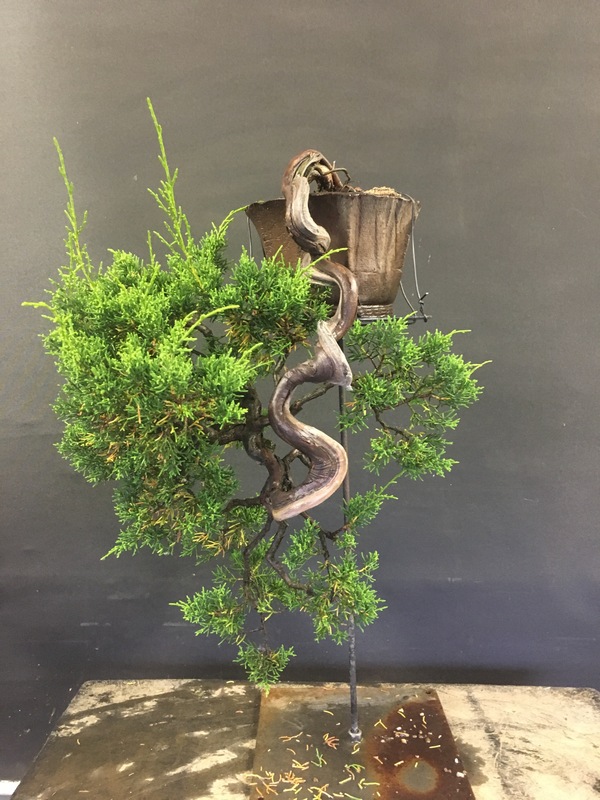 I started with normal shimpaku clean up, cleaning the foliage live vein, etc and then on to wiring. This was the final result. I opened op the front to show more trunk, shari and live vein. Separated some of the bigger pads into smaller pads to give the tree more depth and better flow. Another tree that I was given to work was a small cascade. The tree was bought and repotted quickly a good year ago and wasn’t in great health at the time. One of my Sempai was watching Oyakata re-pot it and stated the was a good chance it my die. Since then the tree has grown in strength and made it through it all. Oyakata asked me to wire it now it was in better health. It was a bit of a challenge has it had been changed from bunjin to kengai and structure had to be completely reset. Overall I was pleased with result and its set it on a path of improvement but, still has a few years to really fill out and reach its potential. 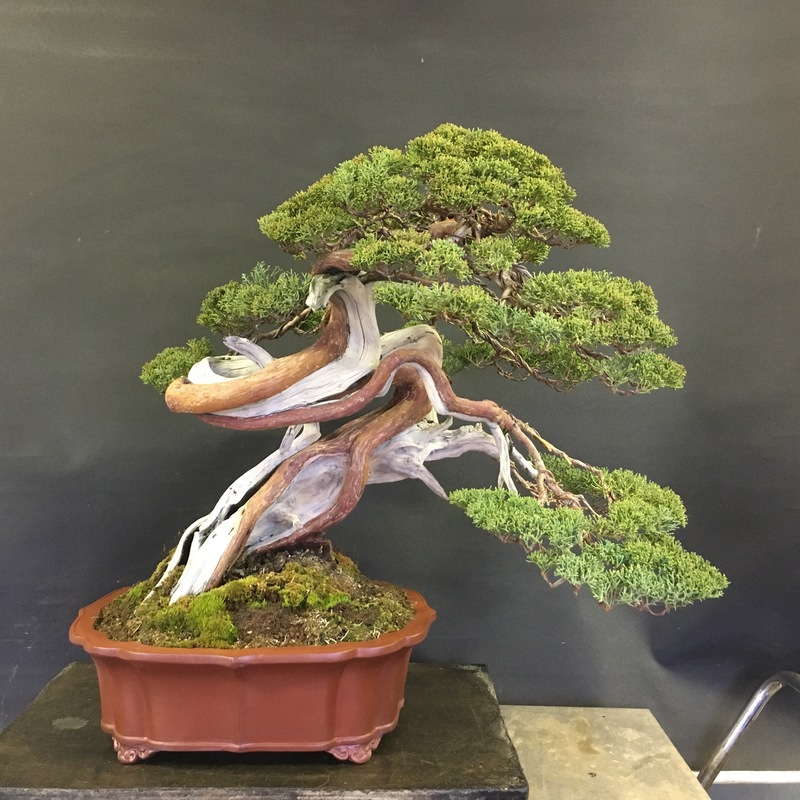 A chuhin Shimpaku that has been here for a couple of years or so, finally got it’s first styling by myself. The tree had been re-potted and cleaned up back when it first arrived but, hadn’t been touched apart from basic maintence since then. Another apprentice brought the tree to the work shop for maintence but, Oyakata asked me to wire it instead. The photo above was after I had removed all weak foliage and cleaned the live vein. 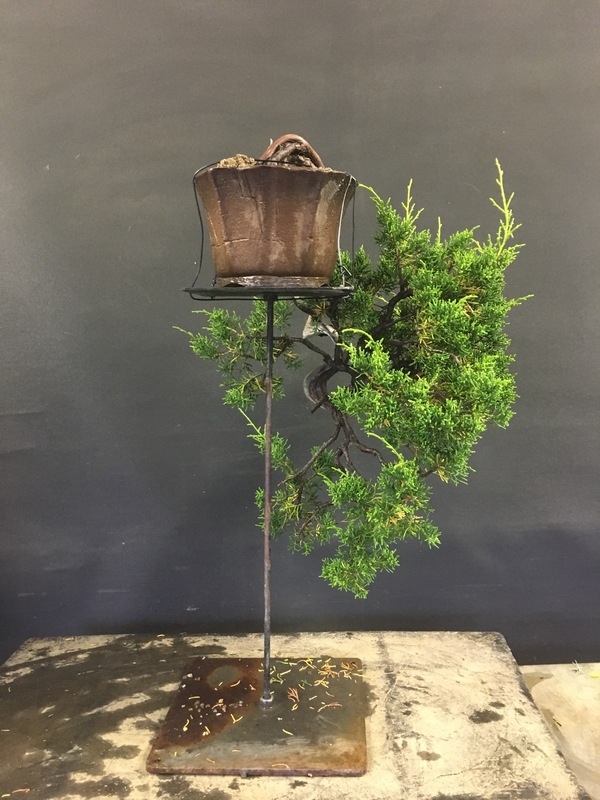 I then proceeded to wire, setting new structure as the front was changed and finished with cleaning the Shari & lime sulphur. 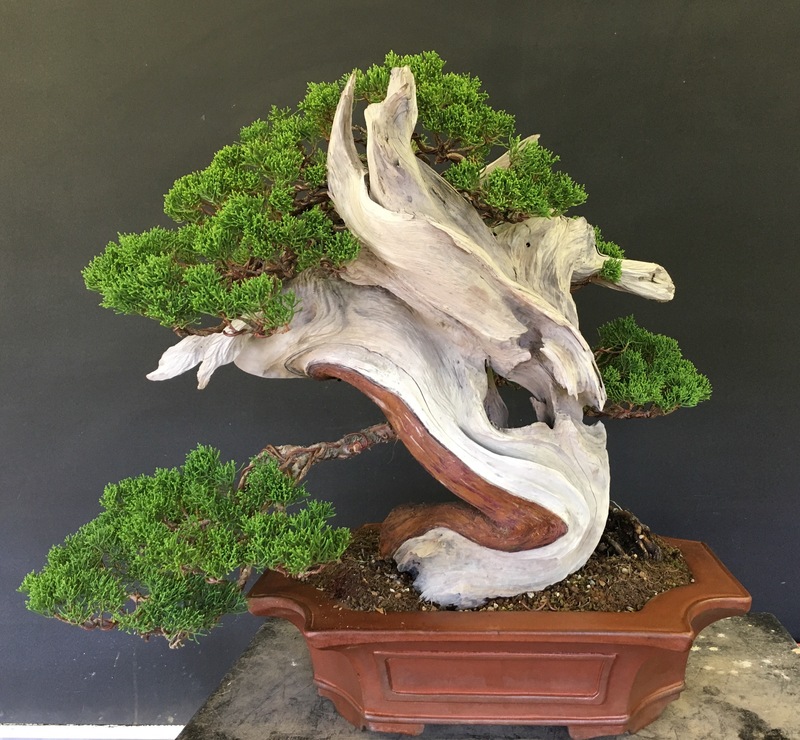 I really want the foliage to gain in size fill out more, so it’s more proportionate to the dead wood and also envelope around the Shari more so, as to break up the powerful Shari more than it is now. I tried my best to bring the foliage and the Shari together but, it’s the best I could do for now though. Thanks for reading I hope you enjoyed seeing some of my work.